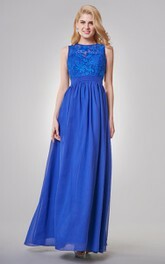 This sweet chiffon gown has a lace illusion neckline that forms a classy high neck in front and sultry deep V in back. 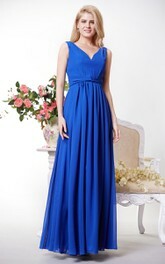 The knee-length dress has an A-line silhouette. 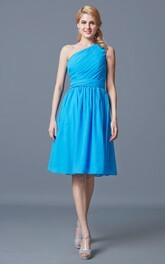 The natural waist is accented with a complementary ribbon sash. AMAZING!! JUST WHAT I WANTED! I AM LOVING THIS LOOK!! KUDOS TO THIS WEBSITE! 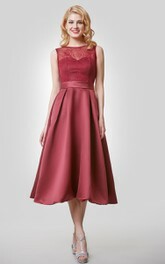 I was checking out ideal dresses for an upcoming wedding, when I came across this dress and it was amazing! I hesitated a moment as I discovered that the dress was from China. But I decided to give it a shot.It proved to be a smart decision! 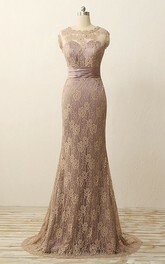 The dress was gorgeous. 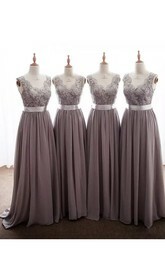 Just amazing dress! 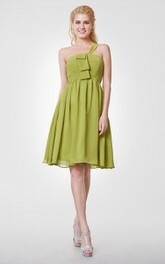 Affordable price range!The dress is really flattering and I strongly recommend this site to one and all. You will never be disappointed. 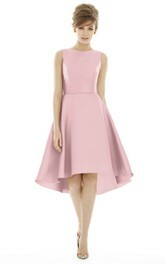 With the evening cocktail party at my office, I was looking for a classy dress that would help me keep up with the theme. 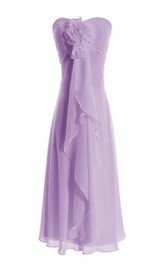 As I came across this dress, I was simply stunned. 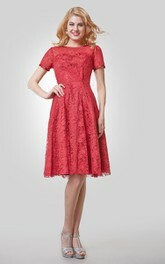 The knee length lace dress was adorned with ruching and pleats that made the look all the more gorgeous. 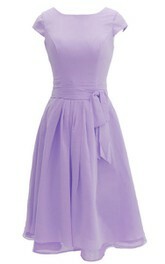 I am very impressed with this dress and looking forwards to wearing it at the party. 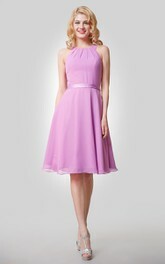 I wore this dress in candy pink to my friend's brunch coupled with a rhinestone belt and diamond drops. 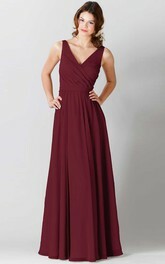 The dress fitted me perfectly and it was absolutely looking gorgeous. 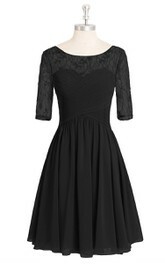 My friend actually asked me where I had bought this dress from! She thought I had paid $300 for this dress, however, when I told her that it was just $68(I grabbed the deal) , she was surprised. So, in case you are looking out for options for your next party wear, this could be an excellent choice.